Christmas is a dim and distant memory. It’s cold and grey in the UK. The days are still short, and summer seems a long way away. 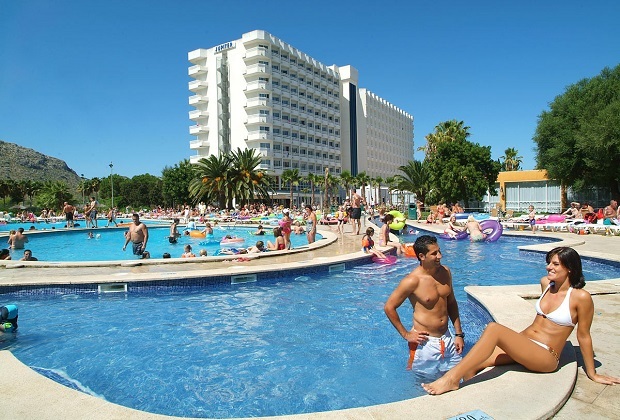 So why not make January much more fun by booking your holiday at Club MAC Alcudia? According to Skyscanner, January is one of the best months to book flights. And, if you book direct with us at clubmac.es, you’re guaranteed the best price. Here’s why now is a great time to book your holiday with us. Hop online and you’ll find all the information you need to book your holiday with us. If you have any questions, you can email us at booking@clubmac.es. We’re always happy to help. We are already booked up at some of the peak times this summer for Premium and Family rooms, so if you want to come during the most popular months of July and August, get in there quick. On some dates there are only Standard rooms left. Don’t forget that if you have already booked with us direct, and you’d like to modify your booking, all you need to do is drop us an email. In 2019, we have lots of new stuff available to our guests in all our room configurations.Our Standard rooms have all kinds of perks included in the price for the first time this year. Every Standard room has a fridge, TV with channels unlocked, safe, kettle, WiFi, hairdryer and air conditioning. Premium and Family rooms have all of this and more, including welcome drinks in the fridge on arrival, a discount voucher for the on-site shop, children’s toiletries pack on arrival, selected branded spirits at our all-inclusive bars, pool towels against a deposit and free entrance to Fun World every day between 10am and 6pm. If you have booked a Standard room on our website and would like to upgrade to a Premium or Family room, please drop us an email. If you book through a tour operator, you will need to check with them direct. If they can’t modify your booking, then upgrades are subject to availability on arrival. Want more information before you book? No problem! We know that making the decision for your family’s summer holiday is an important one. As well as our website, which has comprehensive information on every aspect of booking at Club MAC, we also have a YouTube channel, Facebook page, photos on Instagram and Flickr. Through these channels, you can see what our rooms look like, what the resort looks like, hear stories from our guests and Club MAC teams and find out everything you need to know before booking with us. And if you’ve already booked for this year, don’t forget that reservations are now open for 2020 too!